In this social media image, the graphic details following the deadly shooting in Ottley’s have been blocked by this media house. BASSETERRE, St.Kitts– A crime scene image of the latest murder victim that is being circulated via social media, specifically WhatsApp, has disturbed many of its viewers. 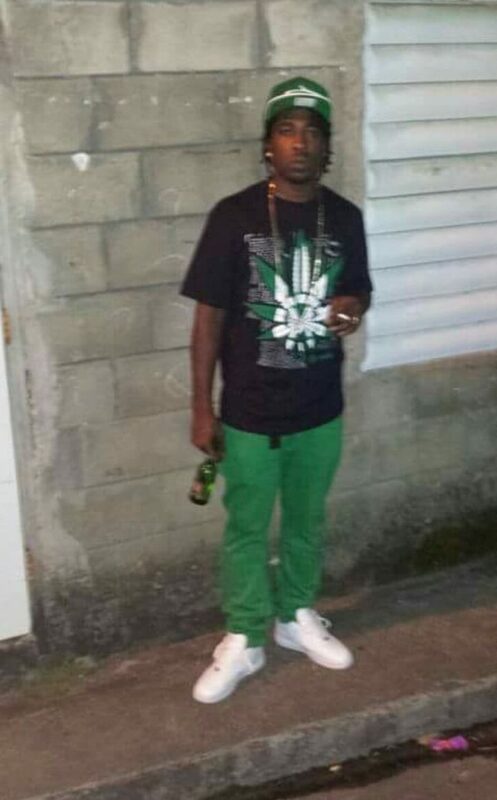 Officers from the Violent Crimes Unit are investigating the shooting incident that was reported on Tuesday 4th July just before 1.00 AM in Ottley’s Village which claimed the life of 26-year-old Kishorne Edwards of Cayon. A photo taken by someone on the crime scene after the incident shows the man’s gunshot riddled body positioned behind the wheel of his vehicle with shattered glass from his window side. The image captures some of the deceased’s wounds about his upper body including his head and shows one of his eyeballs popped out. According to the police, investigations revealed that the victim was shot by an unknown assailant(s) while driving his vehicle in the vicinity of the Water Tank. Police are encouraging individuals who may have information with regards to this incident to come forward and share any details they may have. Information can be passed to Violent Crimes Unit at 869-467-1886, 1887, or 1888, Crime Stoppers at 1-800-8477(TIPS) or by using the SKN Crime Reporter App on a smartphone. Edward’s death is the 17th recorded homicide for the Federation with eleven on St.Kitts and the remainder of six on Nevis. In this social media image, the graphic details following Tuesday’s (4th July) deadly shooting in Ottley’s have been blocked by this media house.